Even though it has been proven that it is not actually the ocean you’re hearing in a shell, I personally want to believe otherwise. I love seashells. I am not a collector, but I have a lot of them from around the world. 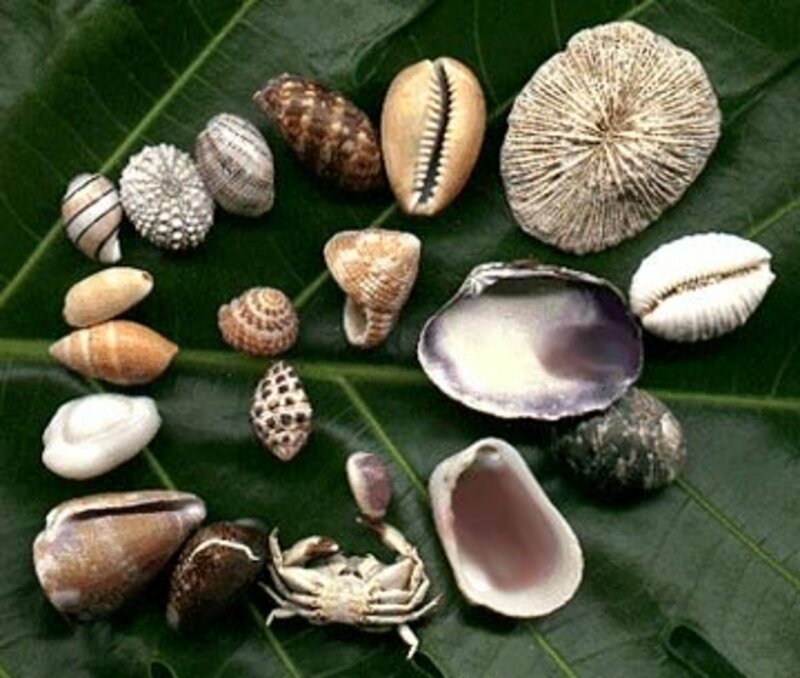 Shells are widely collected, traded and appreciated for their beauty and rarity. 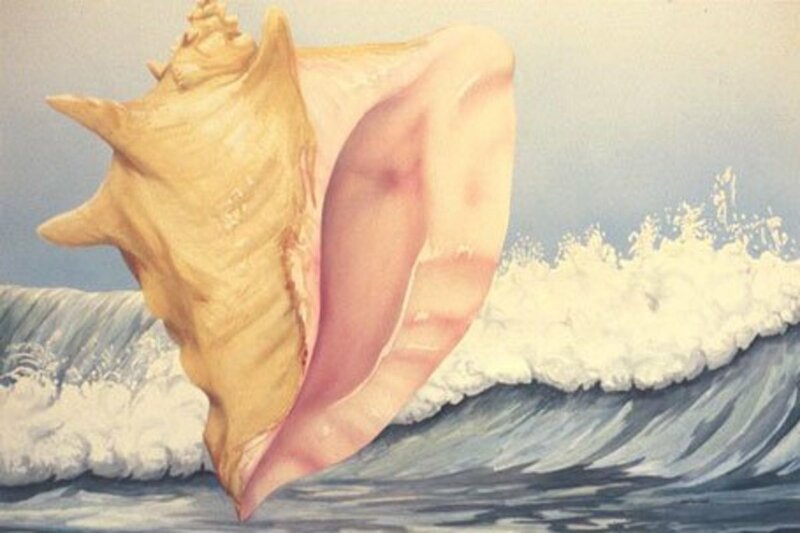 Many artists and designers use shells in their arts. A lot of people enjoy walking along the beach picking up seashells and other sea treasures that ocean generously has brought to the coast. And it is so exciting to find the perfect shell with no flaws and blemishes, just the right size and shape. Even though perfect seashells are hard to find, knowing the right beach for searching can increase the probability of finding them. 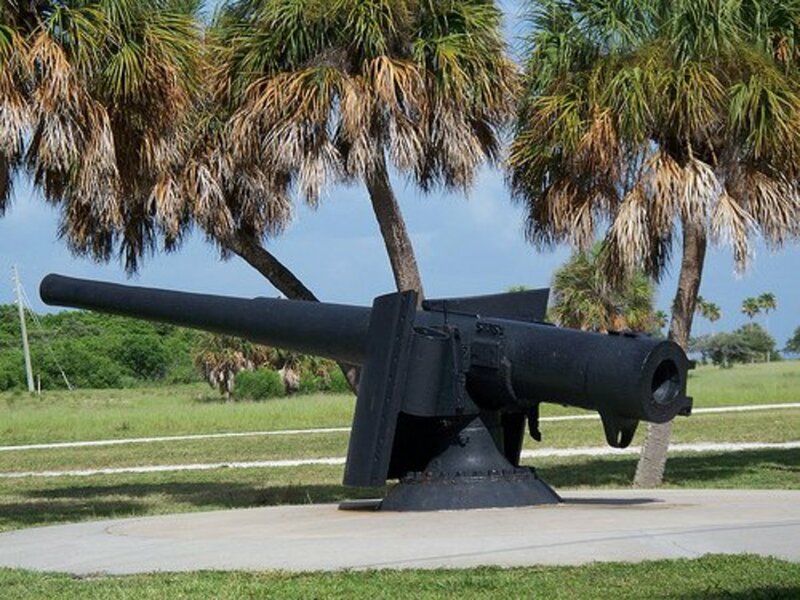 The United States has many miles of shorelines covered with these beautiful treasures of ocean, so we are lucky to have a big number of shelling beaches to choose from. 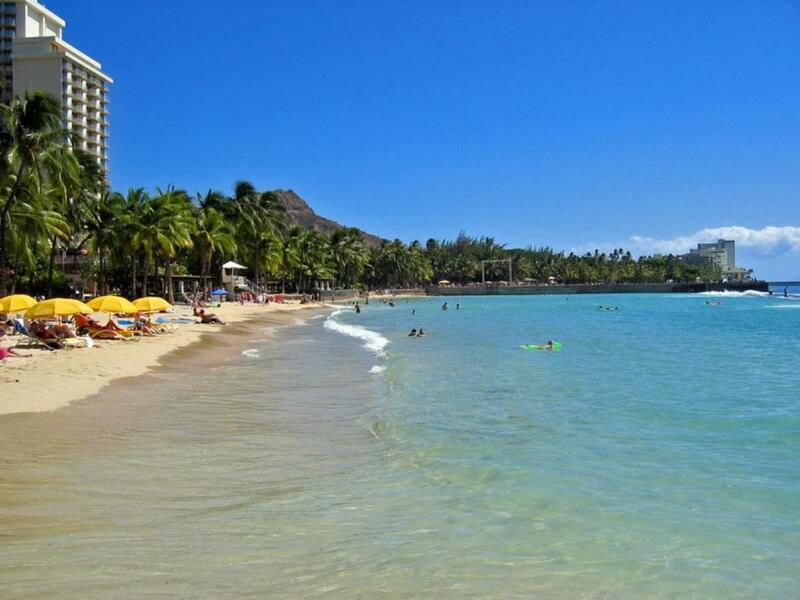 Waikiki (Hawaiian for ‘Sprouting Water’) Beach is one of the most famous beaches not only in Hawaii but in the world. 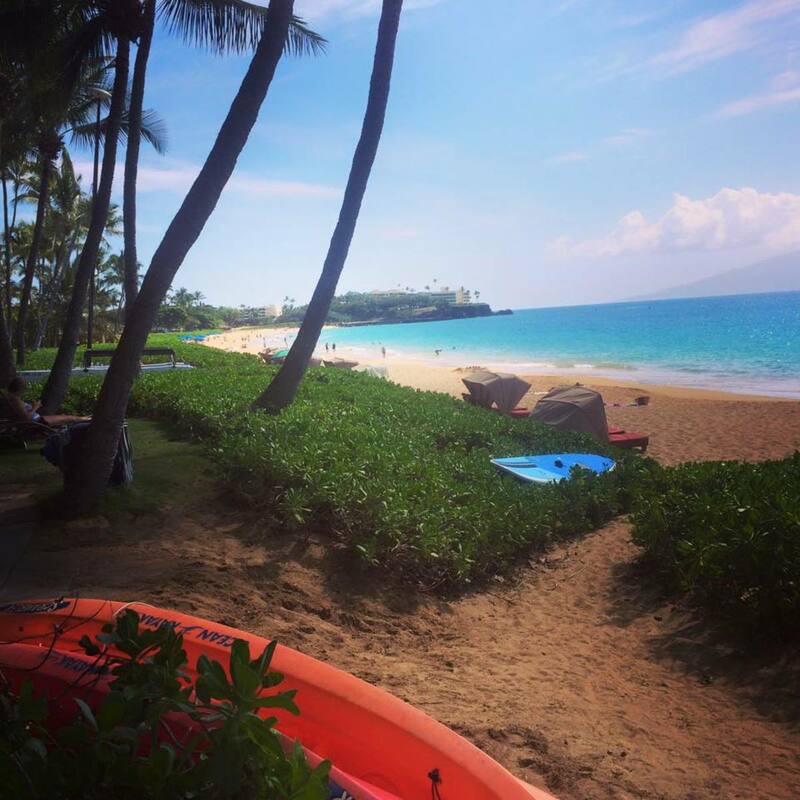 The two mile stretch of white sand coast is excellent for swimming, surfing, sunbathing and of course for searching for Hawaiian treasures – seashells. Hawaiian seashells are difficult to compare to seashells from any other places in the United States, after all Hawaii is an exotic tropical destination. And like most of the beaches on tropical islands, Hawaiian beaches are full of glamorous and colorful shells. 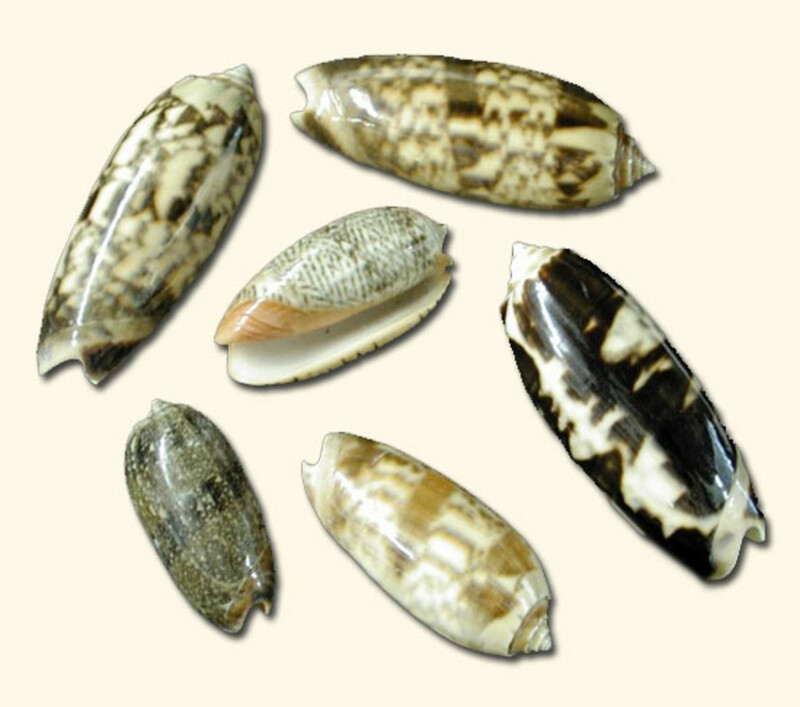 Native Hawaiians widely use seashells for everyday life. And not only for jewelry or design, but as a fish hook and even as a horn to herald their ceremonies. Waikiki sees thousands of snorkelers, scuba divers and beach goers every day, each one looking for that souvenir seashell to bring back home. The easiest way to find a seashell on a beach is to walk in the surf when the tide is coming in. The most frequently seen shells on Waikiki Beach are Cowrie shells, used by Hawaiians as an octopus lure. Cone shells are also commonly found on Waikiki Beach, particularly the Hebrew Cone, the Spiteful Cone and the Golden Yellow Cone. Swollen Bubble, Adam’s Bubble and Paper Bubble, which also can be spotted on Waikiki Beach, are commonly used for jewelry, thanks to its contrasting colorful look. If Hawaii is indisputably among best destinations for shells in the world, then it is fair to say that Gulf beaches are the best shelling beaches in the continental United States. Apparently more than 400 species of shells can be found in the Gulf of Mexico. The region has a lot of beautiful islands and fantastic shores, but if you are looking for shells go to these top five Gulf beaches for shell collecting. The wealth and variety of shells have made Sanibel and Captiva Islands top American destinations for seashells. The islands are actually made out of shells, like some fascinating work of shell art created by nature over thousands of years. When locals dig gardens in their backyards, they often find conchs, whelks, scallops and clam shells mostly perfectly intact. People come from all over the world to Sanibel and Captiva Islands, drawn by the song of the seashell. 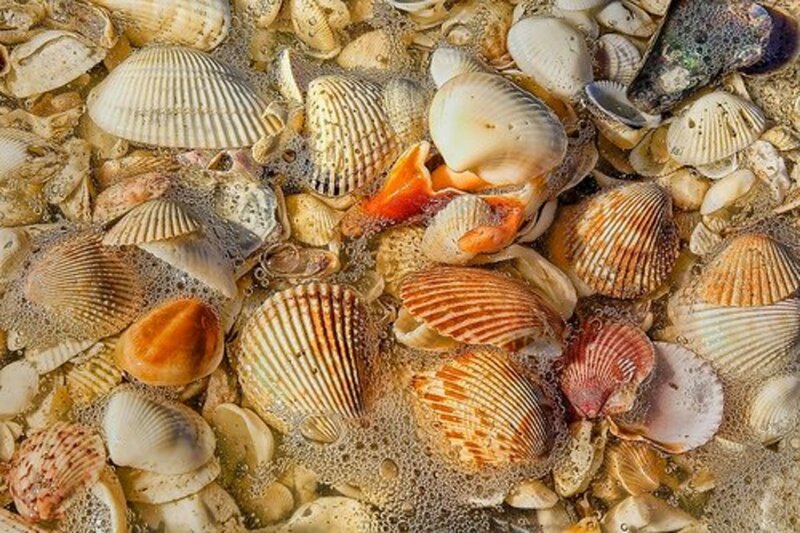 Every March there is a special annual Sanibel Shell Fair & Show, where shell collectors and artists proudly gather to show and compare their collections and designs. Shells are the dominant motif in islands décor and boutique gifts. The islands rank tops in the world for shells because of geography. Sanibel Island does the twist as it parades along the coastline among a string of other more orderly, straight-and-narrow islands. The east-west torque of Sanibel's south end acts like a shovel scooping up all the seashells that the Gulf imports from The Caribbean and other southern seas. 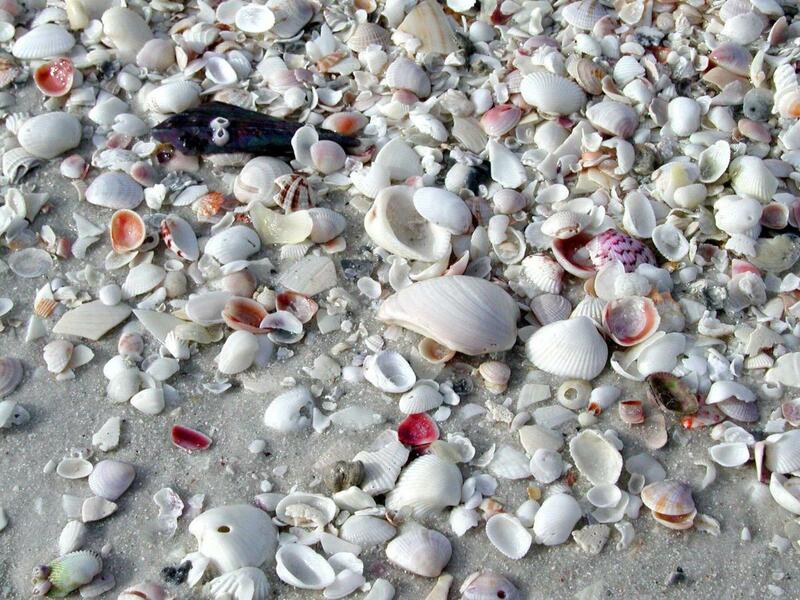 All of the Gulf-side beaches on Sanibel and Captiva Islands are great for shell hunting. 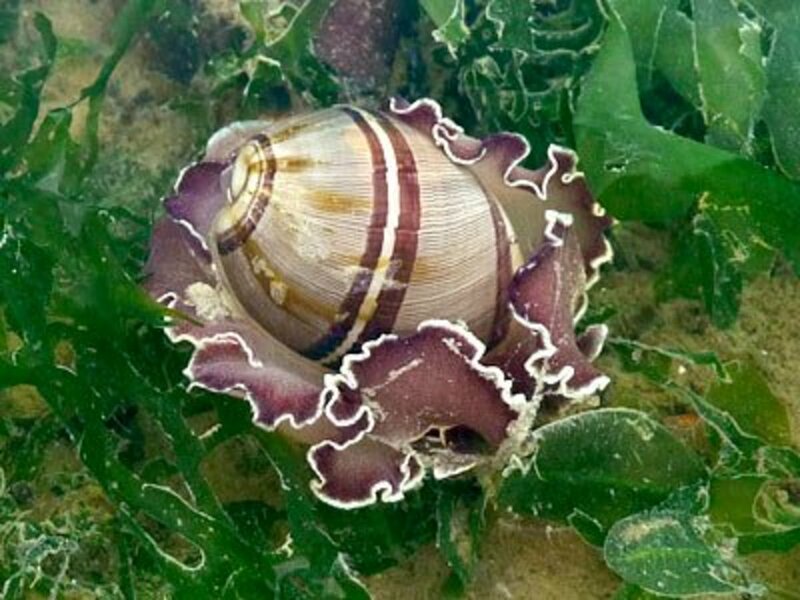 You will find a lot of conch shells, junonia shells, lightning whelks, cockle shells, tulip shells, sand dollar shells and coquinas shells. Marco Island is the largest (four by six miles) barrier island within Southwest Florida’s Islands with more than three miles beautiful white beach, great weather, calm shallow waters and abundance of ocean treasures. The Gulf bestows on the island a variety of seashells, from lion’s paws and moon shells to lightning whelks and coquinas. The best time for finding shells is two days after a northwesterly wind or at low tide. 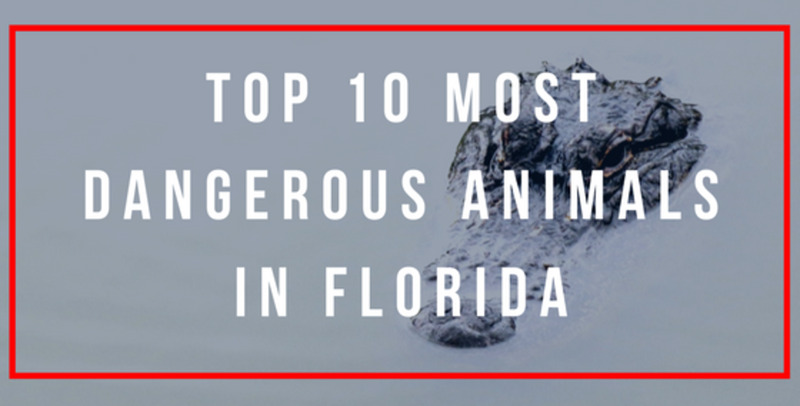 The best places to find them are South Beach or the northern end of Tigertail Beach. Galveston is a small romantic island (32 miles long and two and a half miles wide) just 40 minutes south of the fourth largest city in the United States. 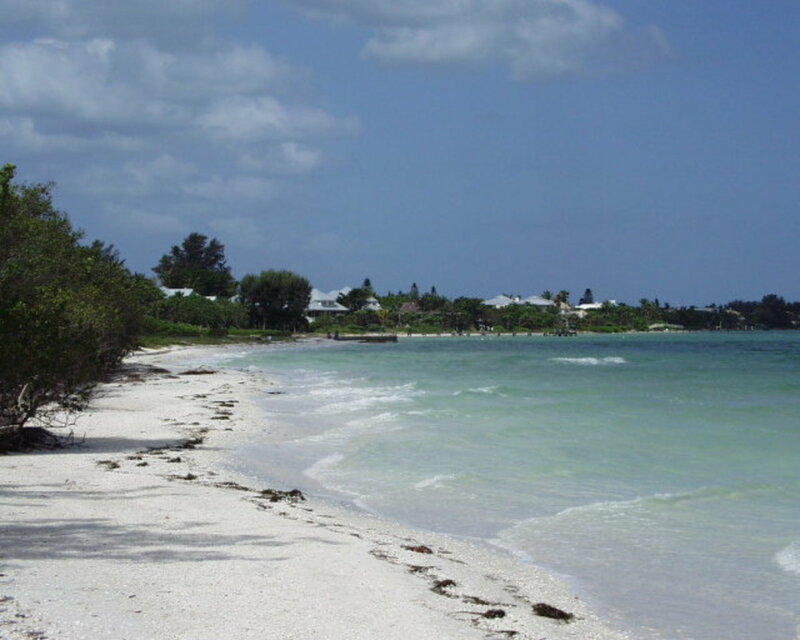 The island offers great relaxing beaches with a variety of seashells. Galveston Island's western end usually offers prime pickings. Many believe that the best shell collecting in Galveston is in the winter after a "blue norther." Some say that the morning is the best time for shell collecting while others believe that the perfect time is right after a storm. 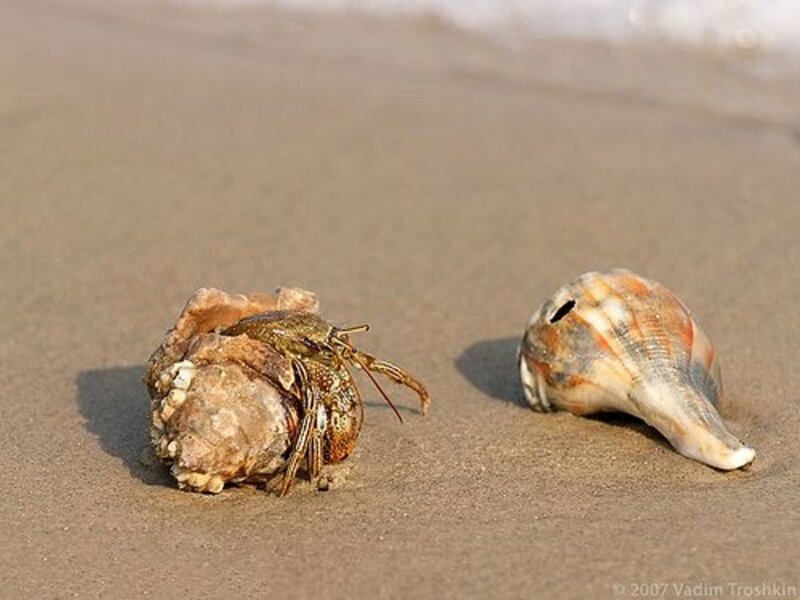 Choose the time which best for you to visit Galveston and you will find Hay's Rock shells, lightning whelks, murex, marsh snail, shark’s eye or moon snail, zebra periwinkle, as well as, different kinds of clams and scallops. San José Island (also known as Saint Joseph Island and Saint Joe’s Island) boasts 21 miles of unspoiled Texas Coastline. The pristine beaches of this uninhabited privately owned island are open to the public but closed to vehicles, which makes it excellent for swimming, surfing, relaxing on a beach and of course shell collecting. There are no amenities on San Jose, so more comfortable trip, rent a fat-tires beach bike in Port Aransas, then catch a ferry to the island (just ten minutes trip to San Jose), and explore the island by bike. You will see lightning whelks, shark’s eyes, sand dollars, olive shells, wentletraps and many other species of shells sprinkling the sandy shoreline. So, the beaches in Gulf of Mexico are best for shell collecting in North America. However there are other destinations in America for shell-lovers. Let’s look at few less-known American beaches for shells. 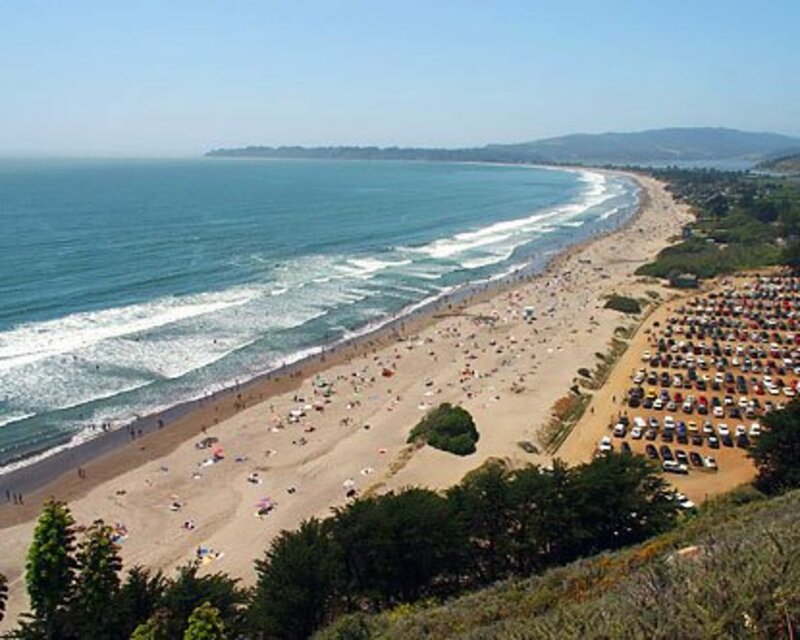 Located just north of San Francisco California, Stinson Beach is a part of the Golden Gate Recreation Area. 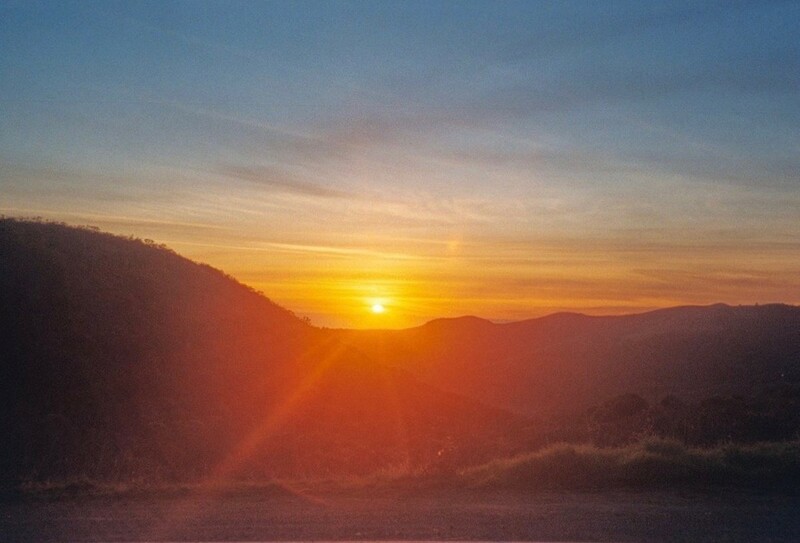 The scenic Highway One, which links the beach to the city, is one of many reasons to visit Stinson Beach. Another reason is shells. 3.5 miles long Stinson Beach is one the best shelling beaches on West Coast. Of course, in terms of shells, West Cost shores cannot be even compared to the Gulf beaches. But Stinson Beach is one of few that does supply limpet shells and sand dollars. At the north-end of Stinson Beach there is Bolinas Lagoon, a great area for seal watching and shell collecting. At low tide, you will regularly have the chance to find fossilized sand dollars. At the south-end of the beach, at “the rocks”, you can find starfish, sea anemone and other wonders of Northern California sea life. Silver Strand State Beach in San Diego’s South Bay was even named for the silvery oyster shells that cover the dunes here. But this narrow seven mile stretch of sand is also full of other kind of shells such as cockles, limpets, scallops and sand dollars. Plus you can find a lot of clams that buried in the sand by the water. 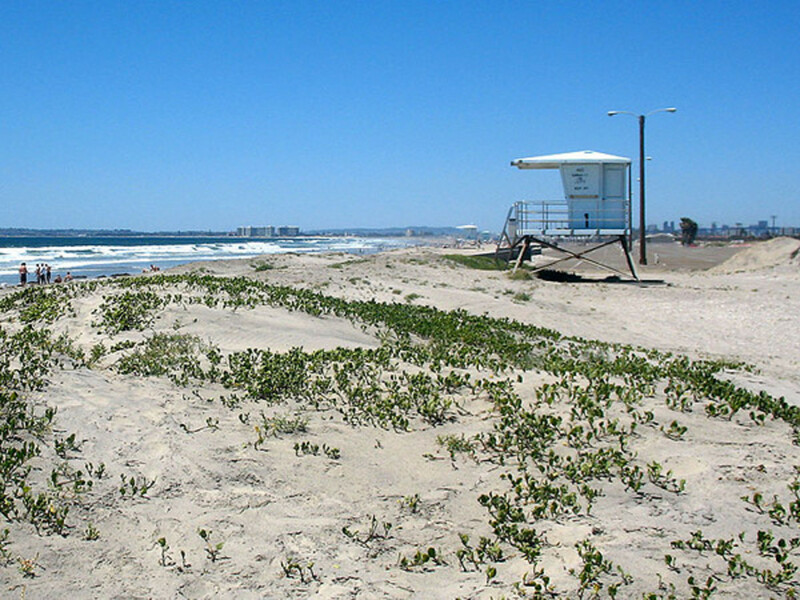 The beach protects San Diego Bay from the sea, and the best shells could be found on the ocean side. The area offers great facilities for camping and picnicking, as well as more luxury accommodations such as Hotel del Coronado with a great spa where local shells are widely used in different treatments. Nestled between the North and South Forks of Long Island, Shelter Island is a charming summer retreat for sophisticated New Yorkers and tourists. 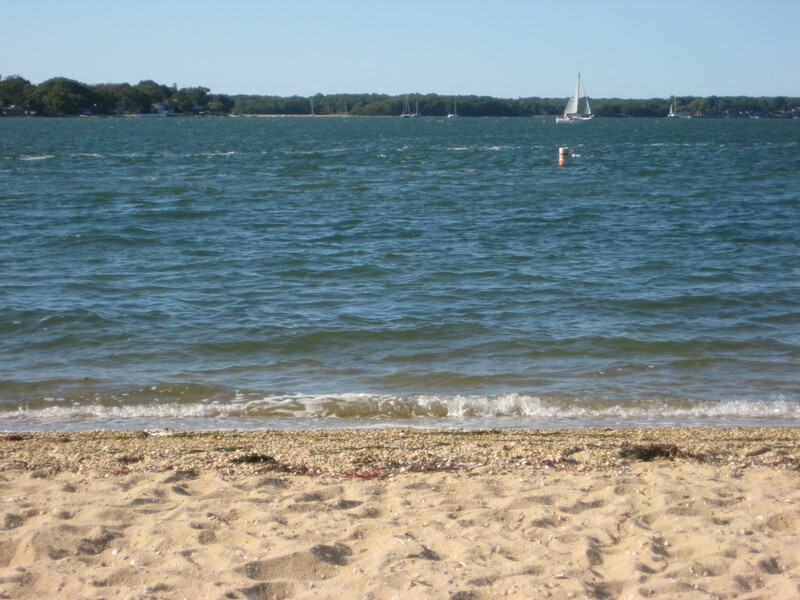 Surrounded by azure Gardiners Bay, Shelter Island Sound and Peconic Bays, Shelter Island with its calm and clear water is perfect destination for swimming, sailing and windsurfing. And its 25 miles of coastline with a half a dozen beaches is one of the best places in the three-state area to look for shells. Crescent Beach (Louis’ Beach to the locals) is probably the most popular beach on the island, thanks to its proximity to trendy Sunset Beach hotel, and breathtaking sunsets you can watch from there. Walk down the beach, away from the party people, and you will find plenty of translucent orange and yellow Jingle shells (another name Mermaid’s Toenails), large spindles, snails and scallops. Shelter Island is reachable only by ferry from both Greenport and North Haven, north of Sag Harbor. Located 22 miles south of downtown Vancouver British Columbia, Point Roberts is a very little known unique American city. It is an exclave of the USA and can be reached from the rest of the Unites States only by traveling though Canada or crossing Boundary Bay. Point Roberts is very distinctive by not only its geopolitical oddity, but also by its amazing pure nature, crystal clear water, breathtaking landscapes and wealth of sea life. With the right tides the swimming is perfect. 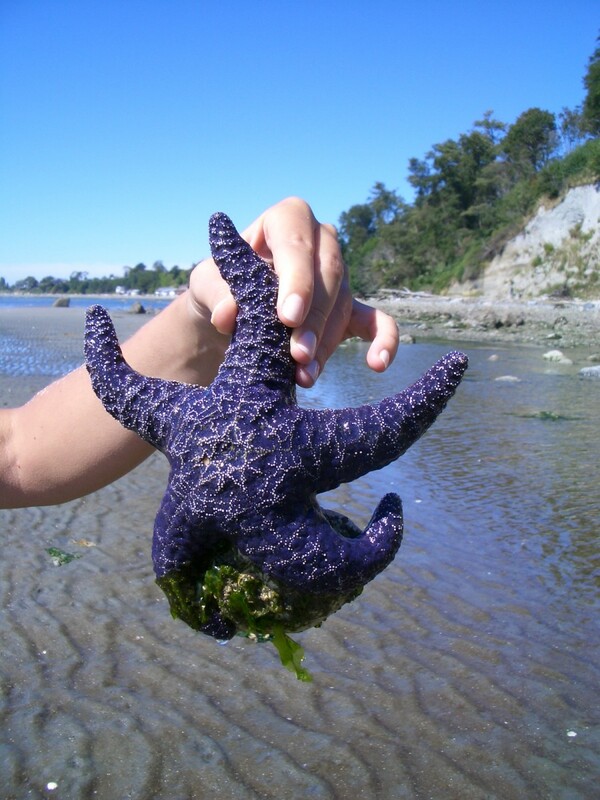 At low tide the beach is full of star fish, crabs, sand dollars and other sea wonders of British Columbia sea life. The Lily Point Beach is perfect to gather oysters and clams. I loved my time in Galveston, Texas when I stayed there! We rented a beautiful beach house through a company called Sand `N Sea. Our property was so close to the beach that we often walked along it and saw many shells. I can't wait to get back again! Mt. Managuni I’m New Zealand has the best collection I have seen thus far. They turn into rings:). Seriously best yet, and I have shells from all over theworld at the best beaches. Barefoot Beach in Bonita Springs, Florida is another great shell collecting spot! Love all the different shells and spots listed! Great question about Hawaii and the law. No, you may not legally transport certain shells from the islands to the mainland. Not shells, indigenous plant life, etc... There were places known many years ago where you could find many beautiful things and now the beaches are barren, the locals - Native Hawaiians (born there not flown there), and the Dept. of Agriculture are not too happy about it. I was leaving the airport once and got a rude pat down after telling them I had nothing to declare. Someone asked how is it okay to buy Hawaiian shell jewelry but not take shells home. Read the labels! Tourist junk isn't made in Hawaii but in the Philippines. All those shell necklaces? Philippines. Why not in Hawaii? Too expensive. The whole thing is very sad and no wonder mainlanders are hated. florida found many venus clam shell that look like a sunrise. I Found out they were edable snd found a restaurant that serve them.Damn they are better than little necks or cherry stones. Great hub! I have been to several of the locations you suggested and they are great for sea shell adventures. I wanted to add Fisherman's Cove in Florida (Siesta Keys) area. The location is well known for seashells. When I visited a couple of years ago, I found some of the most beautiful shells there. Thanks for posting. I'm in wakiki right now and there are basically no shells on the beach. Even if there were they would be picked up by the thousands of tourists on the beach at any given time. The only shells you will find are next to the rocks and they're very small (about 1/3 inch) or broken into small pieces. listen ive been to hawaii and there is not shells everywhere the best luck you'll have is either diving or going somewhere nobody goes to! I love shells! My mum has a huge collection from all over the world and whenever we look at them it brings back the memories. Thanks for a great Hub! Great detail and insight. I love hunting for sea shells. I'll have to make a note to visit some of these beaches that I've not yet been to. Thank you for the article and especially the swollen bubble shell. That is something I have never seen! Beautiful! "vote up" from me! Every beach vacation my daughter and I are determined to find great shells. But none are ever to be found in Destin, FL; Clearwater Beach; FL, Ventura, CA; or Puerto Vallarta, Mexico where we have tried. We have gotten up very early to check after tides have changed, but to no avail. So next we will go to one of your suggested locations. Thanks for the hub. I am glad that you included Stinson State Beach, as a kid, my family would visit Stinson and gather sea shells and play in the water. Thanks for this hub. Very enjoyable. I love to take a walk along the beach and keep myself busy collecting shells on the seashore. It is enjoyable. This is a place where i love to visit. Thanks. i love to collect shells so i'm sooooo going there sometime!!!!! Wow a hub dedicated to shells. Yes,they call me the shell lady.I have been collecting seashells at many of the beaches of Florida and elsewhere and give classes in shell flowers.It is my passion and feel truly blessed to be able to pick up these jewels of the sea.I particularly shelling anywhere from Sanibel and all the way south to South Marco Beach and Cape Romano.Some areas are only reached by boat,and well worth the trip.We never know from day to day what shells will come our way.Some days are great for Jewel Boxes and then the next day it's great for finding bubbles and jingles.Rarely are there two days the same.The gulf coast is wonderful for shelling,even as far away as the pan handle of Florida.Remember never to take any live specimens.We want these jewels to be a round a very long time. I agree with James - lived in Honolulu and visited all Hawaiian islands many times - almost no shells can be found there. We have lots of sand dollars and scallop shells in Georgia but not much else. I enjoy traveling to Florida to see beaches with more shell variety. i Love Shelling!! I even write a daily blog about seashells and the beaches of Sanibel and Captiva islands in Florida (listed here as #2). It is legal to take shells from Lee County Florida if they don't have an occupant (no live shells). I love the purple starfish at the end! Searching for shells can be a lot of fun, and certain shells carry with them the identity of the beach you found them on, bringing back good memories. This is a great guide for shelling beaches! The stinson beach in California is an awesome place to visit!! Nice beaches, but Waikiki and Stinson (I've been to both) are hardly to be renowned for their shells, especially compared to beaches around them, unless you are a diver. That starfish is awesome! I like water so much. I bet it would be great finding and collecting shells with the kids. And they would like it too..
Great collection - and a super idea for a hub! We live in Oregon and frequent the Oregon Coast. We love Manzanita Beach for collecting Sand dollars and other lovely shells. Thumbs up! I have been to Silver Strand State Beach, Waikiki Beach, Stinson Beach and you are right on about sea shells. When I lived in the bay area, Stinson Beach use to be my favorite beach to go to. What a great hub. Brings back wonderful memories! Can someone who knows FOR CERTAIN tell me if it is LEGAL to bring shells back to the mainland from Hawaiian beaches? Been looking and I can find no sites that address the legal issue. I've been bringing home pretty rocks and shells from places we've visited my whole life but I didn't bring home even 1 tiny thing from our visit to Hawaii years ago. Why? Because on some of the beaches there were signs that said you could get a $500 fine if you removed anything natural from them. I didn't want my carry-on bag to be scanned at the airport then possibly be stuck with a hefty FINE as a "going away present"! I only wished I could take a few SMALL and unusual items for my rock garden or window sill back at home. They would have HAD TO BE small anyway because my carry-on was already full of clothes. I well understand how it is not good to destroy natural settings and would never wish to leave behind ANY kind of big mark of my presence. I love nature! Just a few tiny shells though? Legal? Or illegal? Though I just discovered this site, it seemed like a good site on which to ask. :o) Or is this a site encouraging criminal collecting on those islands? Ha. Also, could a small box of "treasures" be shipped home via the USPS? Or do they also x-ray things going to the mainland? I doubt it. Am I just much too paranoid? Probably! Those $500 fine signs scared me though. I don't want to break any laws or get held up at the airport! If they find a shell in my bag, what will happen? Nothing? Just a dirty look perhaps? How is it okay to buy jewelry made of Hawaiian shells home but not to find a shell then make your own necklace out of it? Is it just a matter of leaving either shells or money in Hawaii? THANK YOU for reading. Others have brought me back great looking shells but I can never seem to find them on my own. I know now I have been looking in all the wrong places. I have not collected shells since I was a Kid, maybe I will have to get out my bucket and spade and head for the beach.. Loved seeing the shells! Trying to decide if I should make my annual trek from Texas to Sanibel to hunt for shells. Hope it will be as pristine in the next few months. Is there any reason why finding shells on Maui is so hard? We've heard from others who also came up empty. I heard it has something to do with the way Maui's ocean floor is positioned or something. Anybody have the answer? Great hub and info....I collect clam and scallop shells and make angels at Christmas time. We have great beaches here in the Pacific Northwest just for that....I look forward to reading more of your hubs. Pretty pictures of sea shells. I like to put them in hurricane lanterns and under candlelight. I haven't been to any of the beaches you mentioned, in spite of having lived in a state that included at least two of them. I'll have to check them out sometime. Hi Wanderlust!! What a fantastic hub! !Would like to join your fan club for more of your writings and would like to invite you too. Sanabel Florida, is amazing, we found some really neat stuff there. I would like to add, Seal Beach and Long Beach Calif. Fun post! Not only is your hub well written, it is also accurate. Having visited many of the beaches on your list, I know that they are great places for finding shells. I especially enjoyed your pictures. Here on the wind swept plains of wyoming, there aren't many opportunities for shelling. However, we do have a lot of fossilized shells. I guess that's something. Maybe you should write a hub about that. Interesting hub. I love the olive shells! I love to walk beaches to see what I can find. I was on a beach at Westport, WA and it was covered with whole sand dollars! I had never seen so many before, especially whole ones. I loved the photo of that Swollen Bubble Shell. Amazing! My uncle used to like collecting sharks teeth when he went beachcombing in Florida. I also love collecting shells when on a beach. Fun hub! I forgot to mention that the Stinson Beach, CA area is superbly beautiful & by far well worth a visit as long as your only intention is not looking for tropical shells. The tide pools just north of here are wonderful. Stinson Beach in northern California is fun for sand dollars, esp. sand dollar & other fossils, as well as some sea glass but as for seashells is not much. I've had 2 very disappointed tourists come to my shop & complain that there are no shells worth collecting. There are shells if you know where to look but not like in warm waters. This is no Sanibel Island or Barefoot Beach in SW Florida where I am from. great hub and amazing place. I am glad to visit those beach someday. good work. Good list. Almost anywhere on the west (Gulf) side of Florida is great for finding seashells. East coast (where I live) not so much. Whenever I go to "the beach", my intention is to get a great workout - briskly walking the shoreline. Often, I am distracted by the abundance of shells. I was recently on Siesta Key, Florida (north of Sanibel/Captiva islands). The shelling wasn't great (I was there for the sun and warmth), but it was suitable for me. I did find, however, that after a storm the shelling was so much better. I can't imagine the great shelling after a storm on Waikiki or any of the other places you mentioned. Shell collecting is such a fun and relaxing activity. I don't think I'll find myself at any of the Florida, California, of Hawaii beaches in the near future, but the New York or Washington beaches are definitely possible. Great hub, cool pictures too! Keep it up! nice article. I enjoy sea shell hunting every year with my family while on vacation. We always to to Topsail Island, NC; it's interesting to see the different shells we collect every year. What a beautiful hub! I remember taking home seashells that I found on the beach in Florida, as a young child. I kept them in one of my grandfather's empty cigar boxes and I'm pretty sure my parents still have that box somewhere in their attic. 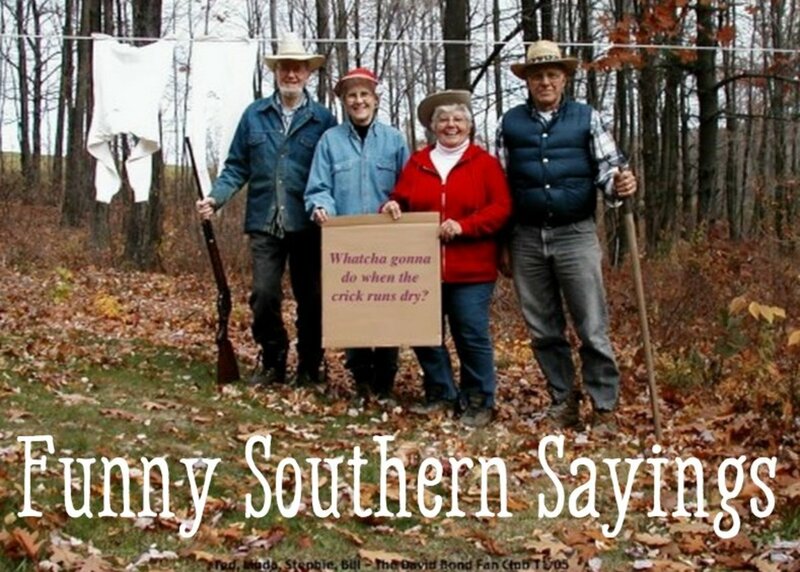 I'll have to check it out, the next time I visit them. Thanks for bringing back a wonderful memory! Wonderful hub. I love sea shells and still want to believe, as you, that it is the ocean I'm hearing. Interesting hub, would definitely like to visit some of these beaches. I've been to Sanibel Island with my wife and my 2 daughters and they loved collecting shells while we were there. this is very interesting.gotta visit some of them and start my shell collection again. when going to the beach I always bring a few shells as a remembrance and a collection, thanks for a nice hub. Great article. We are travelling to Hawaii for the first time in March 2010 and I can't wait to search for shells with my daughter. She loves shells and rocks. I think collecting shells will be a highlight of her vacation. I sure hope I can help her find some nice, colourful and small shells on the beaches of Maui!! Very nice hub. What a great way to approach a vacation or a hub. In addition to seashells another great beach collectible is seaglass. My wife loves combing the beaches for that. Beautiful picture! And nce poem indeed.. 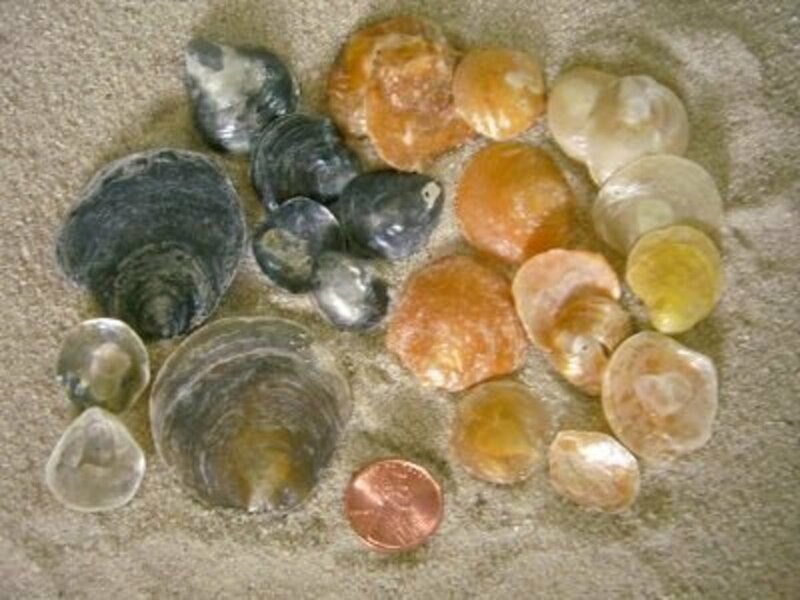 When I was a kid we would visit the beaches in Oregon and there were always lots of clam shells and sand dollars. Nothing very interesting to collect, but pretty neat when you are a kid. I always love collecting shells when I go to beaches. They are a nice (and free) way to remember the trips! I love the ocean and different shells, sea life that can be found. Great article! Cool hub. May not be one of the best but I always find some beautiful shells at Sunken Meadow Beach in NY (Suffolk County-Long Island). Have found many treasures there. The kids love it as well and come home w/pails of gorgeous rocks and shells. Kudos! Its nice to see that they actually survive somewhere.. This summer I have search them on Costa Brava coast, and it was very difficult to find them... :)) Great story, beautiful photos! Great job. These are really beatiful on the beaches also excellent for shell collectors like me. Just reminds me on relaxation and walking down the beach.